If you're looking for a book that will give you a good cry (or at least a lump in your throat), this is the book for you. I wasn't in the mood for a sad book when I picked this up, but I still really enjoyed it. Sammie is about to graduate high school and has just been diagnosed with a disease that causes very early onset dementia. I looked the disease up - Niemann-Pick - and to my surprise it was a real disease. It sounds much worse in reality than described in the book (which was also really bad). The best way to describe Sammie is ambitious and determined. She has high expectations of herself and lots of plans for the future. She's the top of her class and wants to stay that way in college and a career. Sammie's determination is not that of a plucky teenager looking to get the most out of life, discover love and friendship in spite of a terminal disease. Not exactly. It's more of hardheaded determination to stick to her goals and ignore her limitations. I don't know that I exactly liked Sammie. Even though she has a personality I can very much identify with. Here I am looking down on a girl, because she's ambitious and academically minded. Not a good feminist viewpoint. But it's hard to prevent societal ingrained negative associations, even when you know you shouldn't think that way. I didn't always agree with Sammie's choices. Her decisions not to tell certain people about her diagnosis, what she did decide to tell people about, how her refusal to see obvious truths negatively affected her and those around her. But all her choices made sense. They felt entirely in line with typical decisions of a teenager, someone who's been told horrible news, and someone with her personality. There is a romance in this book, but don't read it because of that. It essentially turns into a love triangle. Stuart, Sammie's long-term crush, is a nice guy and I see why she liked him. But he was really boring and their chemistry didn't come off on the page. Then you have Sammie's childhood best friend Cooper who is as sweet and dedicated as can be. While she appreciates him, she also makes decisions that do not treat him as he deserves. It wasn't a full love triangle, but as close as you can get. What I did love about this book was seeing how Sammie's life changed as her disease progressed. The book is told in journal format, which worked wonderfully to show how her life was affected. Especially toward the end, the way the story was told made it extra heart-breaking. Another pro is Sammie's family. She has dedicated parents and a bunch of cute siblings. I did think her 13 year old brother came off as very immature for his age, with the small amount of page time he got. I get that 13 year old boys aren't great founts of maturity, but he felt more like he was about 10. Regardless, I loved seeing scenes with her family and the positive influence they had on her life. This was a touching book, even though it often annoyed me. Still, it flowed easily and quickly. It definitely made me want to read more of Lara Avery. Recommendation: Borrow and be prepared to cry. Great review! I think I will pick this one up because I'm curious to see how the author deals with the disease. 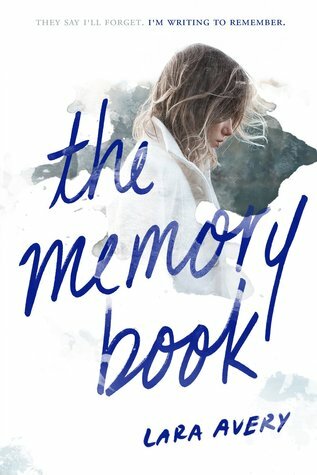 There is a similar YA book (I wish I could remember the title!) but it's a fantasy/dystopian. I've been hearing a lot of great things about this book. It sounds tragically beautiful, and I'm going to have to prepare myself for this one. Great review! Oh, this sounds like such a brilliant book! Definitely going to have to add it to my TBR -- although my TBR is becoming too huge now! I just started blogging and it would be so awesome if you could come down and say hi. :) I'm absolutely in love with your website!